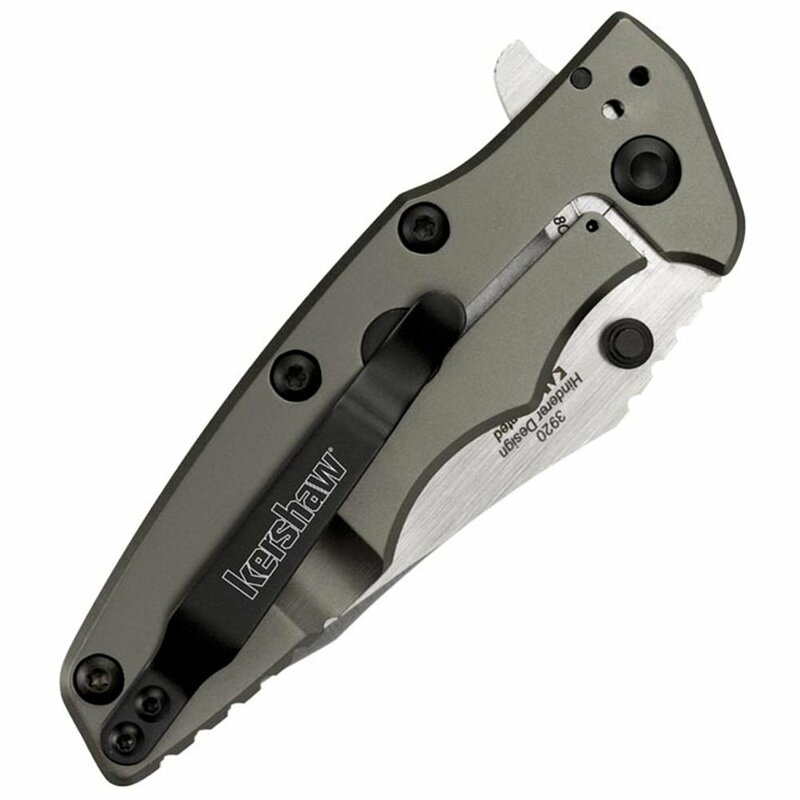 The shield is the hinderer eklipse everyone can affordergonomics is the driving force behind this newest Rick Hinderer-Kershaw collaboration. Based on Rick Hinderer's Eklipse model, this new Kershaw Shield offers all the "ergos" of the Eklipse at an easy-on-the-pocketbook price. The tanto blade's main edge is hollow-ground for excellent slicing capabilities, but that's combined with a flat-ground tip for strong piercing abilities, too. 8Cr13MoV blade steel offers solid edge-holding capability, strength, and hardness. The all-stainless-steel handle provides deep finger contours for an extremely comfortable and secure grip. Titanium carbo-nitride coating gives the Shield a subtle, no-nonsense look. 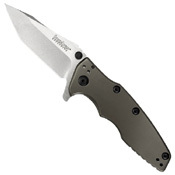 The Shield opens smoothly and easily with the built-in flipper and Kershaw's SpeedSafe assisted opening. A secure frame lock with hardened steel lockbar insert and lockbar stabilizer ensures a reliable lock up. For carrying convenience, the Shield offers a four-position pocketclip for left/right, tip-up/down pocket carry.